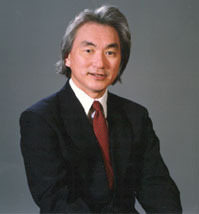 Michio Kaku is most recently the author of Physics of the Impossible. Condition of Mr. Segundo: Dreaming the impossible dream. Subjects Discussed: Maximum caps on bandying about theory in physics, relativity and string theory, the Theory of Everything, decoherence and the wave function of the universe, the Large Hadron Collider, detecting sparticles, how journalists are duped by perpetual motion machines, the Alcubierre warp drive, Edward Teller, the hydrogen bomb, military funding for research, invisibility, being asked to prognosticate on when new technologies are available, the slingshot effect, ray guns, phasers, WR104 and the Death Star, neural networks, the Blue Brain Project, Moore’s Law, the deficiencies of quantum computing, functional MRIs, telepathy, and lie detectors. Correspondent: But I’m wondering though where does science fiction play into this? If some people are losing their shirts and some people are actually profiting from knowledge — like the Alcubierre drive, for example — then is science fiction good, bad, or is it one of those neutral constructs in our world in which people can be exploited or actually be inspired by? Kaku: Well, science fiction, I think, plays several roles. First of all, it inspires scientists. Jules Verne’s work inspired Edwin Hubble to become an astronomer — the greatest astronomer of the 20th century — rather than a lawyer. He was in law school when he switched and decided to become an astronomer, because he remembered the thrill as a child of reading Jules Verne. Also, Carl Sagan read Edgar Rice Burroughs’s John Carter of Mars series and dreamed about roaming on the surface of Mars. That’s why Carl Sagan became an astronomer. And second of all, there’s a lot of cross-pollination between the two. Many people think that antimatter was invented by Gene Roddenberry of Star Trek fame. Wrong. Antimatter comes from physics. 1928. The work of Paul Dirac. He predicted the existence of antimatter. Second of all, when you look at warp drive, warp drive had its origins in the work of Albert Einstein. So Gene Roddenberry copied Einstein. But then Alcubierre was watching Star Trek one day and said, “Let’s take this seriously. A warp drive just like the Enterprise.” He put that into Einstein’s equations and out popped out the Alcubierre drive. So here was a question of physics fertilizing Roddenberry, fertilizing physics. Correspondent: But most people opt to believe in the Roddenberry over the Alcubierre. That’s the question, you know? Kaku: Yeah. But when we physicists though — we’re the ones who build these things. When we have to look at these equations, we realize that Roddenberry was a fiction writer. Also, I mention in the book that H.G. Wells predicted the atomic bomb. He predicted the year that a scientist would discover the secret of the atomic bomb. LeÃ³ SzilÃ¡rd read that book. I repeat, the man who discovered the chain reaction read H.G. Wells’s book, saw himself as the man who discovered the secret of the atomic bomb, and got the secret just within a year or so of the prediction. And that led to the atomic bomb. So in some sense, the atomic bomb was in some sense inspired by H.G. Wells. Correspondent: You’re rather giddy talking about the atomic bomb. I’m a little worried here. Kaku: When I was a kid, my mentor was Edward Teller. He’s the father of the hydrogen bomb. And he even offered me a job building hydrogen bombs. Correspondent: And you declined that job. Kaku: I declined that job. Correspondent: Why did you do that? Kaku: I’d rather work on something even bigger. Albert Einstein’s contribution to physics was perhaps not quite what the layman usually thinks it was.Abert Einstein was asked to poseso many times that he said if he hadn’t been a physicist, he could havemade a living as a model. Albert Einstein was the most famous and influential scientist of the twentieth century; his discoveries transformed both the world itself and our understanding of it. ” — Albert Einstein”So long as they don’t get violent, I want to let everyone say whatthey wish, for I myself have always said exactly what pleased me. I have seen you on TV. In all due respect you are misinforming the public re relativity. I offer you my paper, “Errors of Special Relativity” that displays a proof where SR is defunct. Take, for example, time dilation. According to SR a clock in the approach mode runs slower than proper time. However this is not so empirically. An atomic clock in approach exhibets a (Doppler effect) faster frequency — in short it registers time faster than proper. So Einstein’s time dilation is incorrect. The correct time variation is Doppler time. If you would lik a copy of my paper just request it.